The patterning of white or silvery grey on a shiny dark-brown background make this quite a distinctive species, although the fruitbodies are short lived. The early cap is an elongated egg shape, then bell-like as the cottony universal veil remnant breaks into separate patches to reveal the glossy dark background. Generally found as solitary specimens or well-spaced in small groups, Magpie Inkcaps occur most often in deciduous woodland, particularly under Beech trees and less frequently under oaks. They are mainly restricted to alkaline areas. May to November in Britain and Ireland. 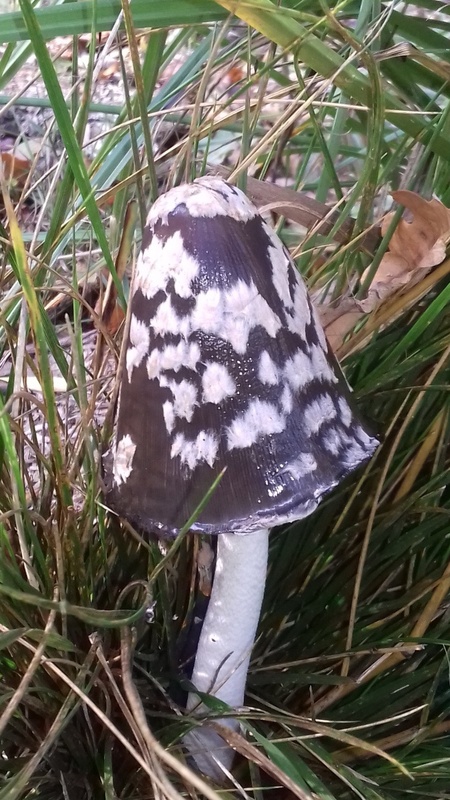 As with other large inkcaps, the gills of the Magpie Inkcap deliquesce, a process which aids spore dispersal particularly in wet weather. Widespread in the southern half of Britain, but rather infrequent.